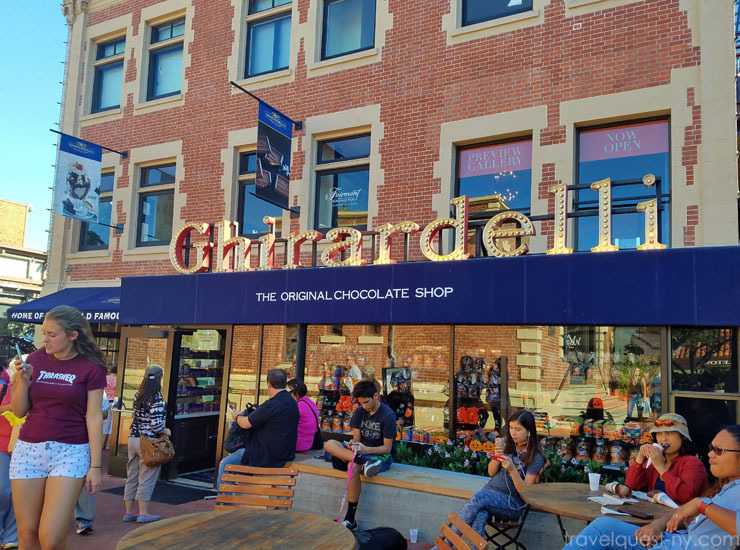 Ghiradelli square is definitely a touristy attraction to visit while in the City of San Francisco. Knowing that we wouldn't be back here anytime soon. I knew I had to stop in and have an ice cream and chocolate. They have desserts like sundaes, milkshakes and hot chocolate! The prices a bit high. If you have kids, or a heart of a kid this is a great spot to spend the afternoon. Located on the waterfront, it's a great location for sweeping views of the Bay, and to grab an ice cream sundae. There's several restaurants in the square for your convenience. This place is usually packed! Parking is available in the lot or on the street, both for a small fee. One of the landmarks of San Francisco. 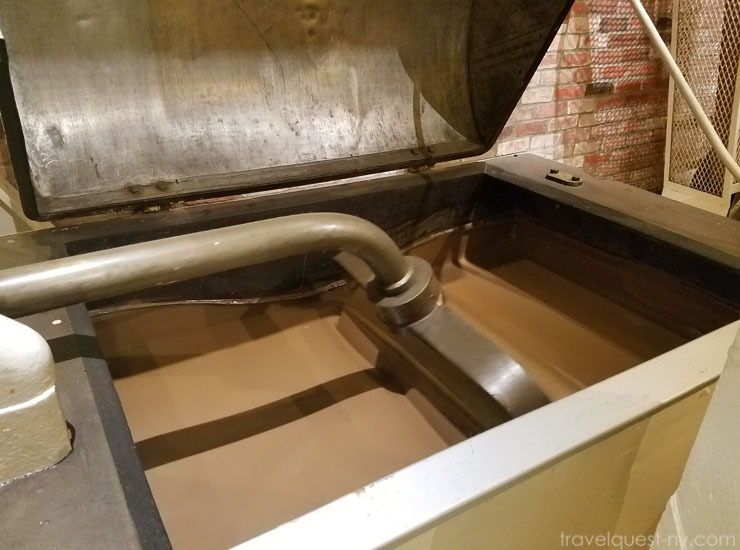 This is how they make their mouthwatering chocolates. Inside view of the store where they serve ice cream. This place never disappoints me. Chocolate, coffee, sundaes, shakes - they have it all! Great place for gifts also. I had a crispy sundae and it was amazing. If you're ever in the city and anywhere close to the pier and if you love chocolate or ice-cream then this place is a must. Doesn't matter what you get - ice-cream, hot chocolate, shakes or just their chocolates, they are all good. 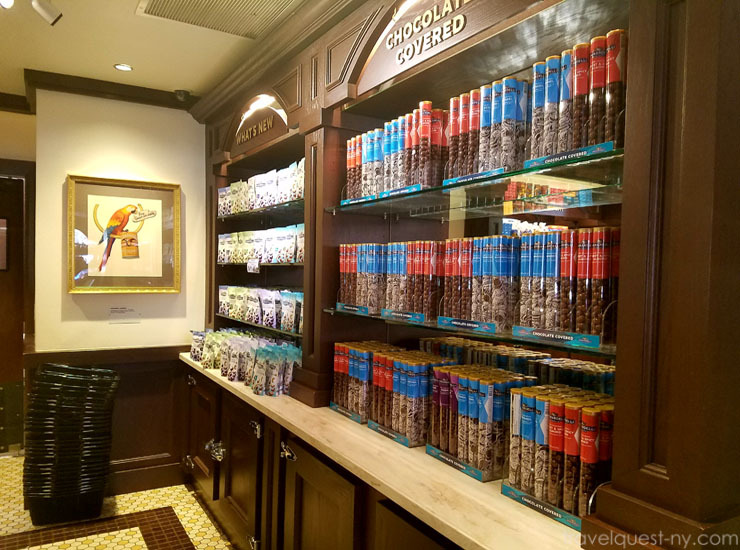 Make sure you have some chocolate, even if you just walk the store, Ghirardelli Chocolate store will give you a FREE square of chocolate to try. I would be in heaven there. Their chocolate is so good, I would be so happy doing that tour. We were just there a year ago in January. The place was packed and be prepared for the lines to check out. Totally worth going to see. That would be a great place to visit. Something like going to Hershey park. Fun and exciting to see. And boy do I love their chocolates. I have walked from SOMA to Ghirardelli! I love this flagship store in San Francisco, no trip out west is complete without stopping by, which we do every time, even when at a bust conference like Dad 2.0, two years ago! Three of us walked all across SF for a visit! 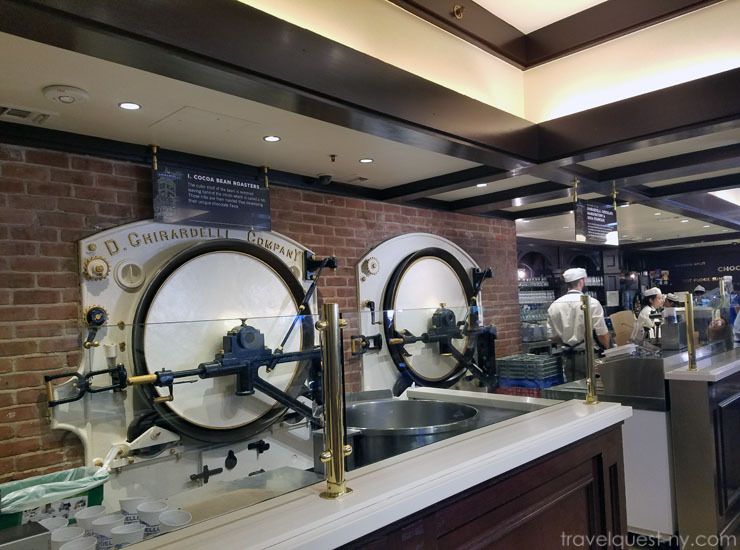 I think I could spend a few hours at Ghirardelli Square It will be the place to go when I visit San Francisco. I could certainly get my chocolate fix. I am jealous to my CORE right now! Ugh, that looks fabulous! I would love a trip here. I love chocolate and Ghirardeli is amazing. YUM! I love Ghiradeli. 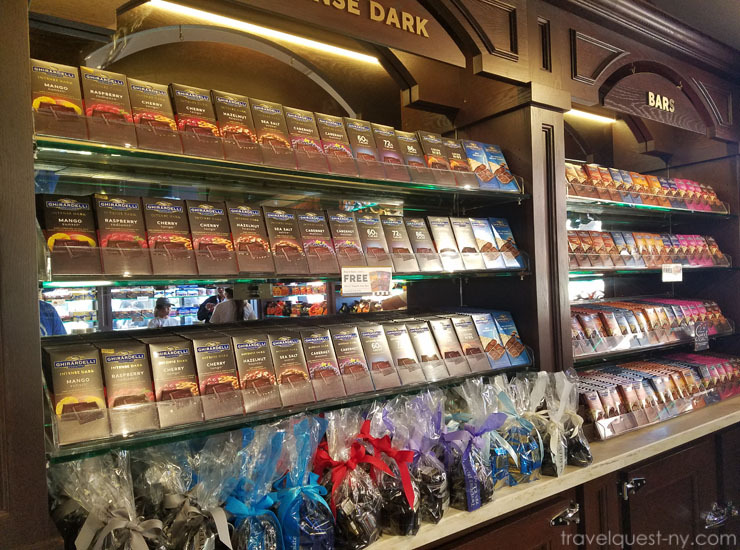 Ghiradeli Square is basically a dream vacation destination for chocolate lovers like me. It was so cool to see last time I was in San Francisco. I would love to see Ghiradeli square!!! 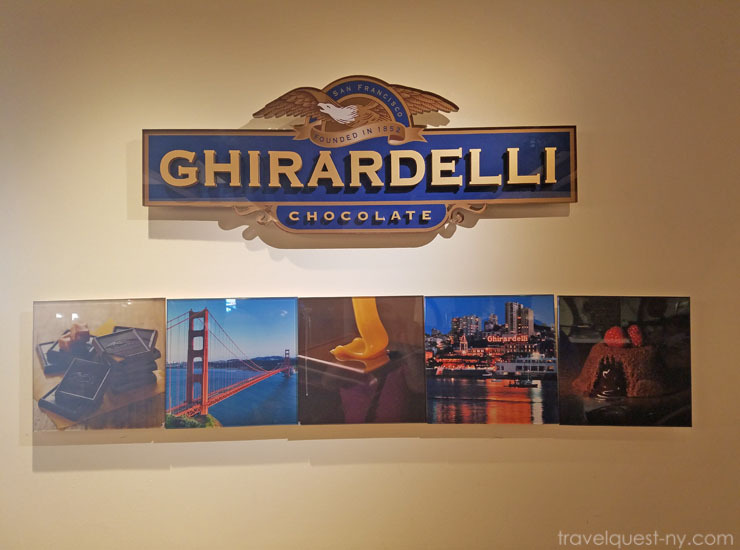 What a fun place to visit while you are in San Francisco, I love chocolate and other variations. This sounds like such an awesome chocolate shop. I am obsessed with all things chocolate so I am very envious! This is like chocolate heaven! I love chocolates especially dark chocolates. Ghiradell square would be a place I would for sure visit if I was in San Francisco. I love their chocolate but never had their ice cream. Thanks for sharing this awesome store and your experience. Ghirardelli is my favorite chocolate. Their peppermint bark can't be beat! 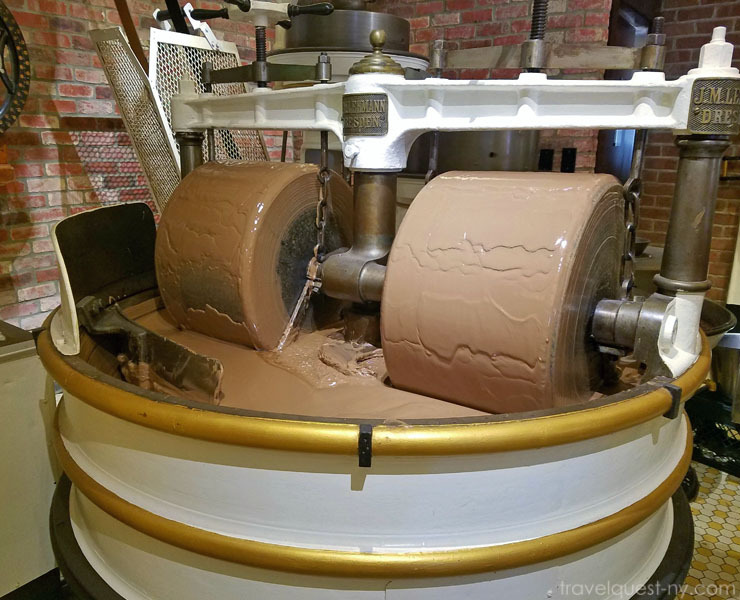 Visiting Ghirardelli Square is on my bucket list. I love I love Ghiradeli chocolate. I bet it would be a lot of fun to see how they are made. I love Ghirardeli chocolates! I would love to take this tour myself. I would be wanting to dive into those yummy tubs of chocolate. I didn't know that they had a factory in San Fran! I would've sat there all day inhaling the delicious smells! Looks like I need to take my sister to San Fran. She is a die hard chocolate lover. I'm just coming for the ice cream.